We’re heading into another holiday sales season – have you considered selling internationally this year? Statistics have shown that less than one percent of US businesses sell internationally, but as the world economy grows, more and more business owners are considering international sales to access untapped markets and boost profitability. The internet is filled with information about international sales, but sorting through the information is another thing altogether. To help you’ve out we’ve created a list of the best 14+ free resources for international sales. Before we dive into more specific information, here are a few resources to help learn more about international sales and discover if it's right for your business. First it’s important to know that there are a number of paths to international sales. In general, you can choose to sell directly to international customers (typically conducted online, on your website or another selling platform), or you can export (which can be accomplished in a number of different ways). Get up to speed on different international sales strategies with this guide by the Federation of International Trade Associations. It’s also a good idea to get some general knowledge about international sales. 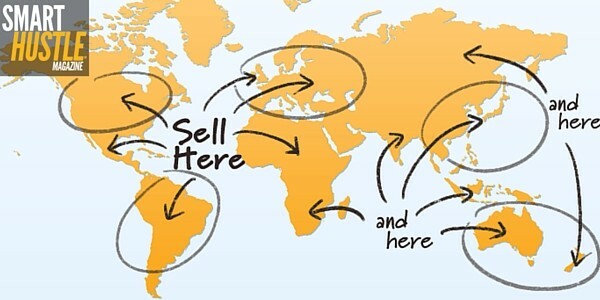 We like this Inc.com article about How to Sell Internationally, which covers the major considerations such as choosing markets, doing market research, and assembling an international sales team – which is applicable for both exports and online international sales. You can also search within your favorite business information websites to see what they have written on the topic. These articles are likely to be general information, but it will give you a good idea of the process and more specific topics you should explore in greater detail later on. Of course, there will be challenges to overcome when you embark upon international sales. Some of these challenges you should know about up front to make a smoother transition to selling internationally. This includes things such as cultural complexities, language barriers, shipping, and taxes. For a great overview of the challenges of international sales, check out this article on the topic, via the CPC Strategy blog.